We advise all clients to have a consumer unit which complies with current standards. The new consumer units use a RCD breaker for safety on the circuit throughout your house. 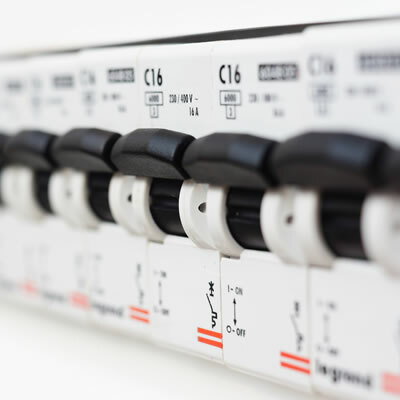 A RCD is a residual circuit breaker which is a life-saving device designed to prevent you from getting a fatal electric shock if you touch something live, such as a bare wire. It can also provide some protection against electrical fires. Residual Current Breaker with Overload protection. A RCBO combines the functions of a MCB (miniature circuit breaker) and a RCD in one unit. They are used to protect a particular circuit, instead of having a single RCD for the whole building.